InnovatAR continues to blaze the trail when it comes to adopting inventive marketing strategies, particularly augmented reality. The Microsoft Hololens is an inventive piece of tech that has the ability to immerse the user in a completely alternate environment. Its users can tour Italy, explore outer space, go back in time or conduct safe training exercises, all through a virtual reality platform. InnovatAR is excited to continue exploring new and innovative ways to turn virtual and augmented experiences into marketing opportunities for our clients. 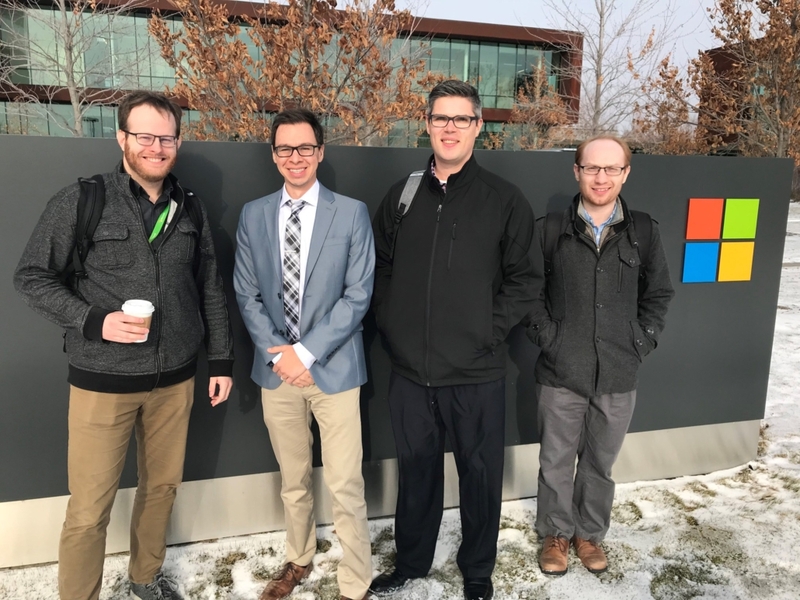 Nicholas Kramer, Alex Mabin, Ed Sargeant, and Nicholas Ness at Microsoft Fargo. 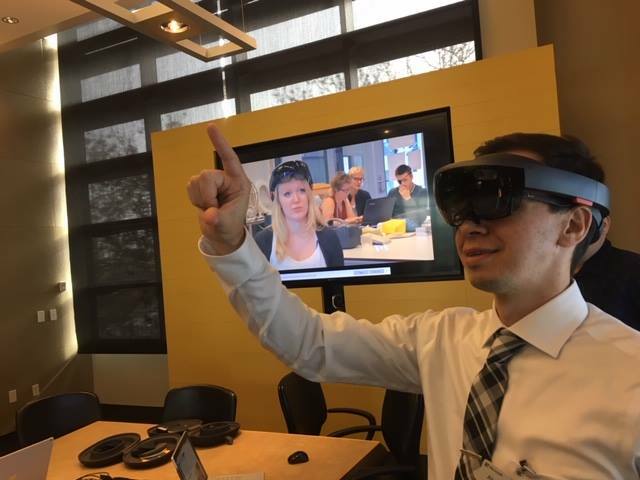 Alex tries out mixed reality with the HoloLens at Microsoft Fargo. 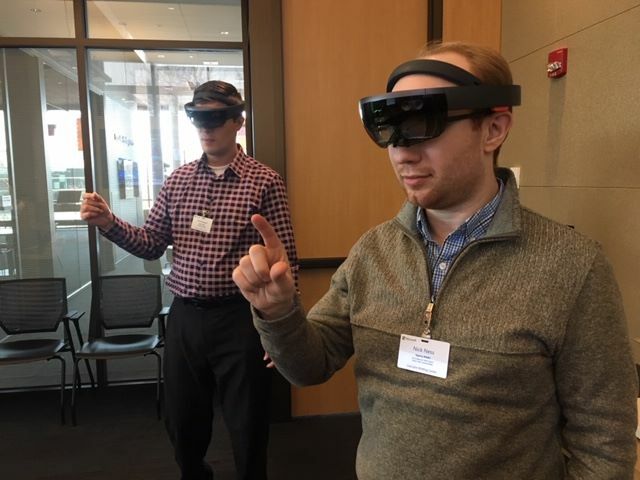 Ed Sargeant and Nicholas Ness try out mixed reality with the HoloLens at Microsoft Fargo. 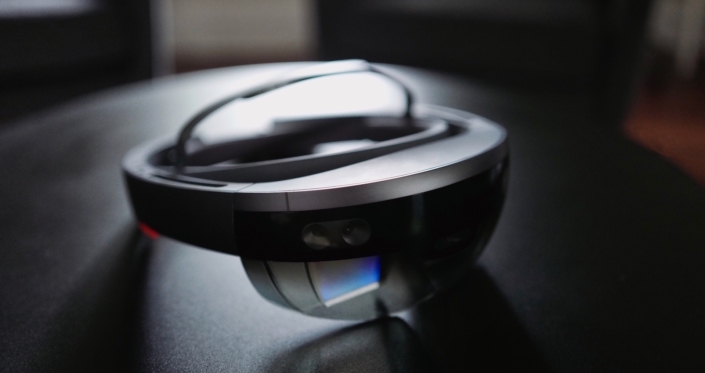 The HoloLens is Microsoft's mixed reality (augmented reality) head mounted display (HMD). It projects 3D imagery onto the world in front of you and allows you to interact with it with just your hands!